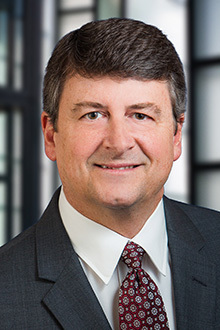 (October 30, 2018) - The Arizona Court of Appeals recently affirmed a trial defense verdict obtained by Phoenix Partner Todd A. Rigby on behalf of a transportation client in a large exposure negligence case. In the underlying lawsuit, the plaintiff sued our client for a bus-pedestrian accident resulting in serious injuries, claiming that the bus driver failed to observe the plaintiff sitting on a nearby bus stop bench as the bus driver finished his lunch break, checked his surroundings and pulled away from the curb. The plaintiff ran after the bus and slipped near the rear tire causing a severe pneumatic tire injury to her leg. The defendants acknowledged that the driver never saw the plaintiff but countered that he followed all applicable safety procedures. Moreover, the plaintiff did not move off the bench until after the bus began to pull away, and by that time the bus driver needed to focus on merging safely into vehicular traffic to his left. During closing arguments, the plaintiff described her injuries as catastrophic, focused on her permanent disability, and requested an award approaching eight figures. The jury instead found in the defendant’s favor and awarded the plaintiff nothing. The trial court judge subsequently granted our client’s request for $42,685 in fees and costs based on the plaintiff’s failure to accept the defendants’ earlier offer of judgment. 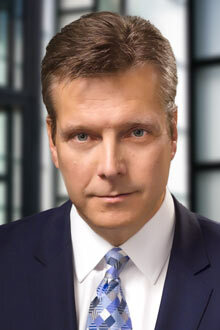 On appeal, the plaintiff asserted numerous trial errors, including: refusing to compel a “key” out-of-state witness to appear at trial; refusing to allow the jury to personally view the accident site during the trial proceedings; and allowing defense counsel to offer “prejudicial” evidence of plaintiff’s glaucoma and her subsequent motor vehicle accident. After oral argument on each issue, the Court of Appeals rejected the plaintiff’s claims, finding that the trial court did not abuse its discretion and that the plaintiff did not suffer undue prejudice as a result of the trial court rulings. In affirming the defense verdict, the Court of Appeals likewise affirmed the trial court’s award of defense fees/costs and also awarded additional costs to the defense based on the appeal. Mr. Rigby handled the underlying trial as well as oral argument in front of the Court of Appeals. San Diego Partner Jeffry A. Miller handled the appellate response brief. 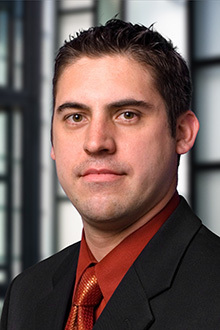 Phoenix Associate Shawn Petri assisted Mr. Rigby during trial and the appellate process.